A lot is happening at the Arkansas Legislature. Here’s a quick look at some of the bills that have been filed so far — including good bills, bad bills, and a few bills that simply are worth knowing about. H.B. 1289: This good bill by Rep. Brandt Smith (R – Jonesboro) protects the rights of conscience of all healthcare workers and companies. This will prevent people and organizations from being forced to promote, participate in, or pay for medical procedures that violate their conscience — like abortion. Read The Bill Here. S.B. 156: This good bill by Sen. Bob Ballinger (R – Berryville) and Rep. Dan Sullivan (R – Jonesboro) prevents public colleges and universities from infringing the free speech of students and faculty on campus. In other states, pro-life student groups have faced discrimination on college campuses, and universities have tried to squelch faith-based student groups. Arkansas State University in Jonesboro currently faces a lawsuit over a policy that relegates speech to certain “free speech zones” on campus; the policy has been heavily criticized, and many do not expect it to survive a legal challenge. S.B. 156 protects students and faculty from these types of restrictions. Read The Bill Here. S.B. 149: This good bill by Sen. Jason Rapert (R – Conway) prohibits abortion in Arkansas if Roe v. Wade is ever overturned. Read The Bill Here. S.B. 2: This good bill by Sen. Trent Garner (R – El Dorado) prohibits abortions performed because the baby has Down Syndrome. Read The Bill Here. S.B. 3: This good bill by Sen. Trent Garner (R – El Dorado) requires abortionist to report complications arising from an abortion. Abortion carries a number of risks and consequences, and the reporting required by this bill will help Arkansas craft better pro-life laws in the future. Read The Bill Here. S.B. 168: This good bill updates Arkansas’ Safe Haven Act. It lets a woman surrender her newborn to law enforcement personnel, fire department personnel, or medical personnel. Arkansas’ Safe Haven Act protects children from being abandoned, and it provides women with options besides abortion. Read The Bill Here. H.B. 1164 and H.B. 1290: These two bills by Rep. Aaron Pilkington (R – Clarksville) let pharmacists dispense oral contraceptives to women without a prescription from a doctor. Oral contraceptives carry a number of health risks — which is why women currently need a prescription from a doctor — and they can cause the death of an unborn child by preventing the unborn child from implanting and growing inside the mother’s womb. That’s why Family Council opposes both of these bills. H.B. 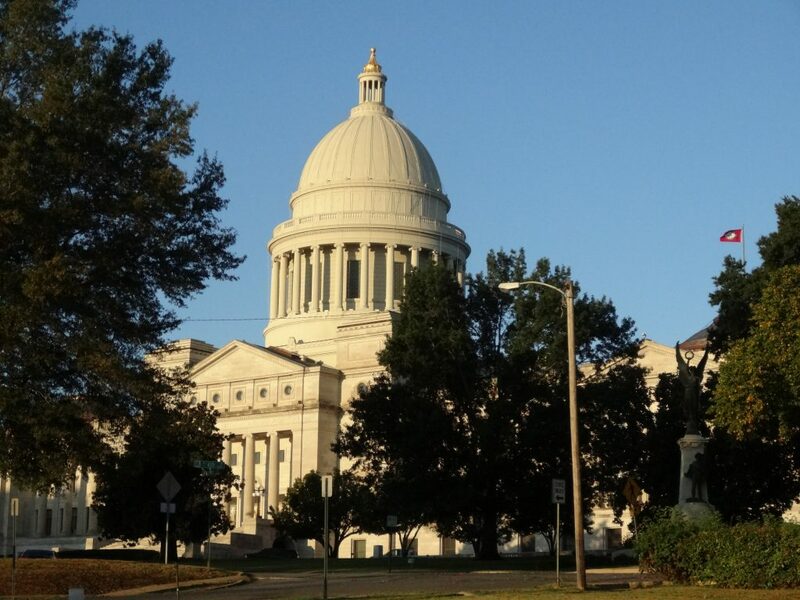 1150: This bill expands the list of “qualifying conditions” in Arkansas’ marijuana amendment, making it even easier for people to use so-called “medical” marijuana. Marijuana is a blight on our communities, and Arkansas’ marijuana amendment already is too vague and open-ended. Marijuana needs to be restricted — not expanded. Read The Bill Here. H.B. 1294: This bill by Rep. Jana Della Rosa (R – Rogers) gives officials discretion when prosecuting DUI cases. Some are concerned the bill may make it less likely that drunk drivers will be prosecuted. Read The Bill Here. S.B. 190: This bill by Sen. Greg Leding (D – Fayetteville) creates a state license for genetic counselors in Arkansas. Genetic counseling gives some pro-life advocates pause, because it can be used to promote abortion — particularly in cases when the unborn baby may have Down Syndrome. Read The Bill Here. You can leave a message about legislation for your state senator by calling the Arkansas Senate during normal business hours at (501) 682-2902. You can leave a message about legislation for your state representative by calling the Arkansas House during normal business hours at (501) 682-6211.